Two months into 2016 and I haven't posted yet. 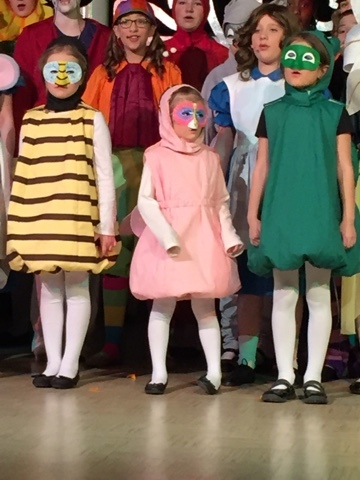 January was a very busy month for us as Ringette started again, and Samantha had many rehearsals for Alice in Wonderland. 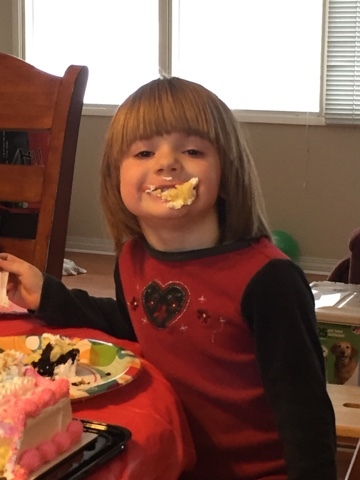 She turned six during the rehearsals and had a fun birthday party. 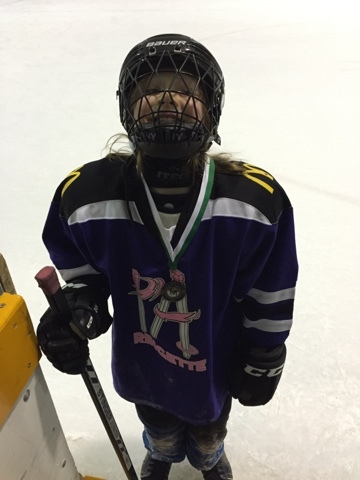 Anisha also got to participate in her first sporting tournament in January, when her Under-9 Ringette team went to a tournament near Saskatoon and had a fun day playing the sport. She got her first medal and was very proud of it. 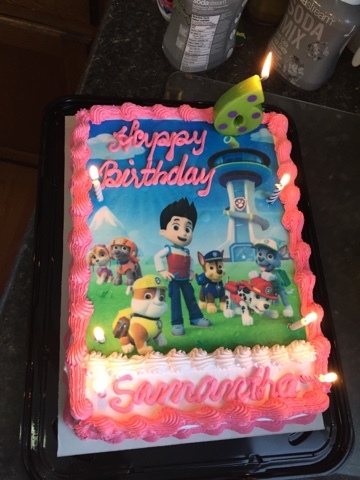 In early February, Samantha's play opened and she had a whole bunch of fun acting in it. We went and saw the show on Saturday night of the opening weekend and found it very well done and quite true to the Disney version of Alice in Wonderland. During the February break, the girls took up more swim lessons. Anish was in swim kids 2 and passed quite easily, while Samantha was in swim kids 1 and found her first lessons in regular/non-preschool lessons a bit of a challenge. They will be returning to swim lessons for spring break at the end of March. On some Friday nights I volunteer at my church's Youth group. This past Friday, March 4th, I was playing a game with them, lost my balance, & ran head first into the wall. I was temporarily knocked out and, since the wall was carpeted & I tried to stop my momentum with my arms, ended up with a crazy rug burn on my right elbow. I recovered ok, my elbow looks terrible though, & I got a ride home, but the after effects have bothered me all weekend. I hit it just right so my body absorbed most of the shock, but now my entire right side of my body aches, lower back spasms, and hip hurts. For cognitive issues, I find my concentration a little less than usual, thought process seems ok, but I tire easily. I went to the doctor today and got some pretty awesome medication that can help with my back spasms and my ability to sit longer. I've missed the last couple of days of work due to the pain. I now have a greater appreciation for those who get head injuries and have to deal with the effects for many weeks/months/years later. With the play is done and ringette winding up this month, it looks to be an easier time for family. We have plans to go to Saskatoon to catch a Saskatoon Rush Lacrosse game at some point, and then in April, Alison and I will be going to see 2cellos in Vancouver, and near the end of April, we will be traveling to Calgary for the Calgary Comic & Fan Expo.